This dining table looks simple at first glance, with the top of the table using transparent glass. 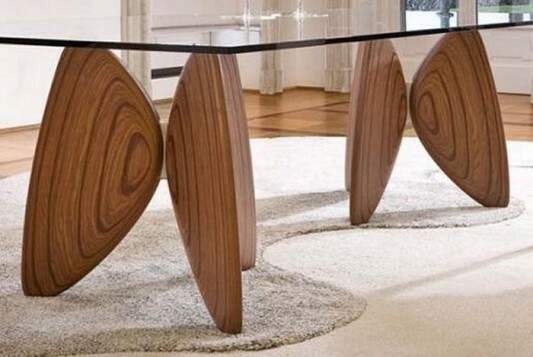 The uniqueness and beauty of this table would look if we look at the foot of the table that expands like the wings of a butterfly. 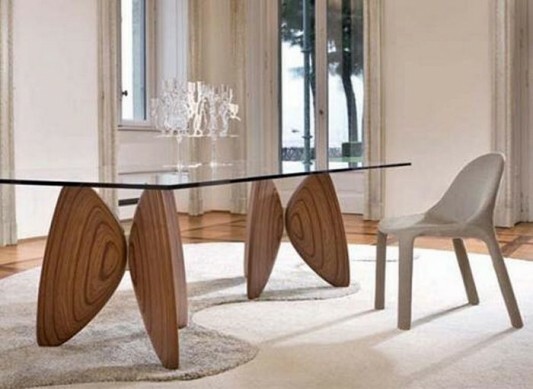 This beautiful dining table made by Bartoli Design, inspired by the shape of butterfly wings. Form of a table leg made of wood material multilayer stratified, with the top of the table using a rectangular glass is thick and strong. Using this product, dubbed Vanessa, able to create the feel of your dining room to be more elegant, you’ll enjoy a romantic dinner with a beautiful table and provide a different dining experience. Visit Bartoli For detail information.